This was my first time making biscotti and it turned out great! I followed the below recipe exactly to get the pumpkin pie spiced base biscotti. I then dipped the ends in semi-sweet chocolate after they cooled for a few minutes and sprinkled chopped almonds. This may have to be a repeat for Christmas! 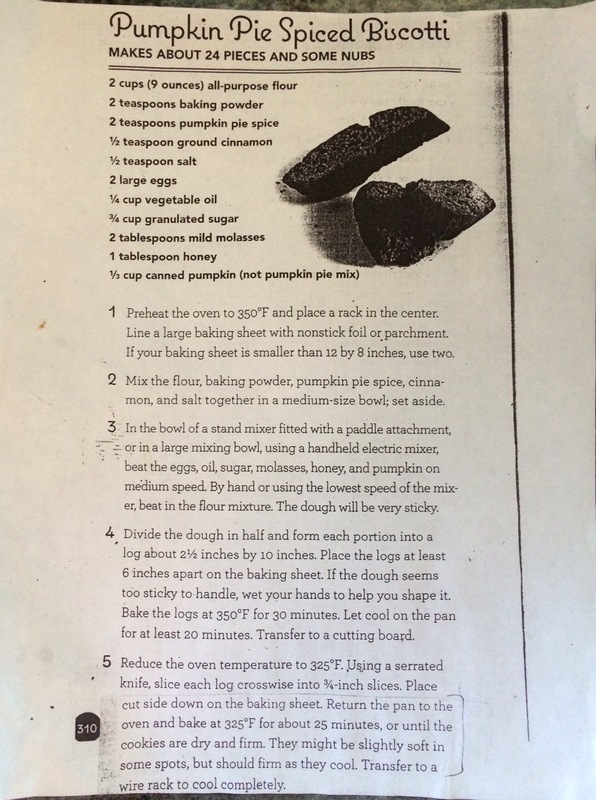 This recipe was sent to me by a friend so I do not know the source. Delicious!! 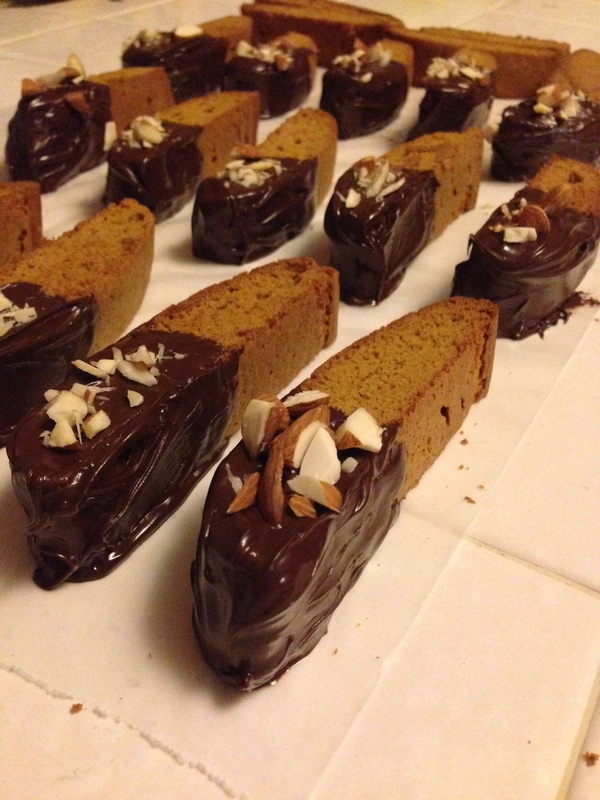 Such a great way to spice up biscotti!